This is by far a household favorite, especially in the summertime when the weather is warm and the fresh herbs are plentiful. For packing loads of flavor, the prep on this dish is also really quick, so don’t be intimidated by the ingredients list. This is one of those ‘recipes that isn’t really a recipe’ type deals, since you can modify to your heart’s delight! 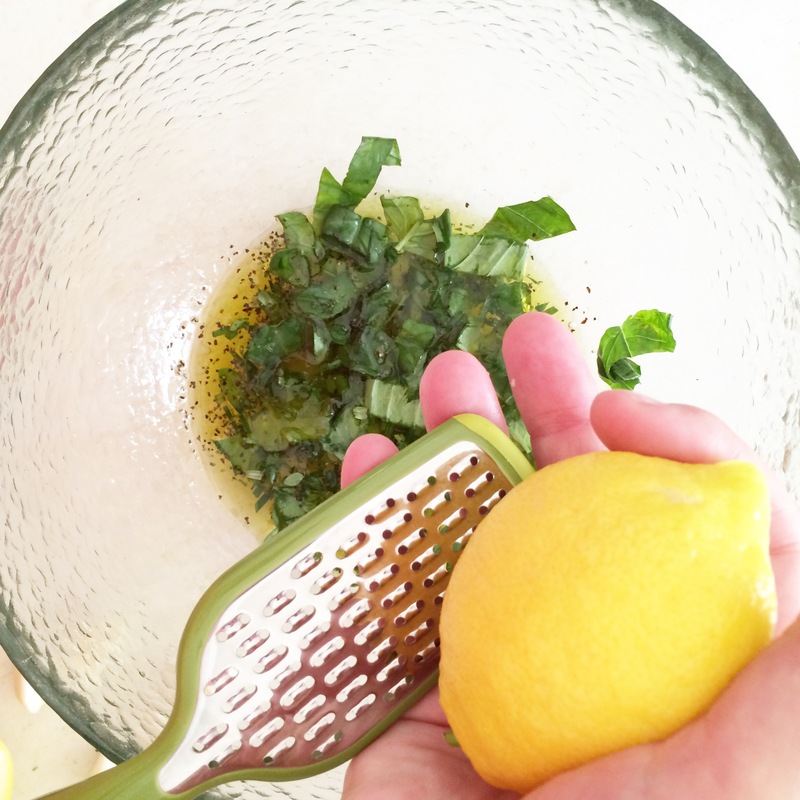 We happen to really love basil in our house, so I add a lot of chopped basil to my marinade. I am also growing lemon thyme in the garden this year and I’m obsessed with adding it to every dish, and it really adds something special. 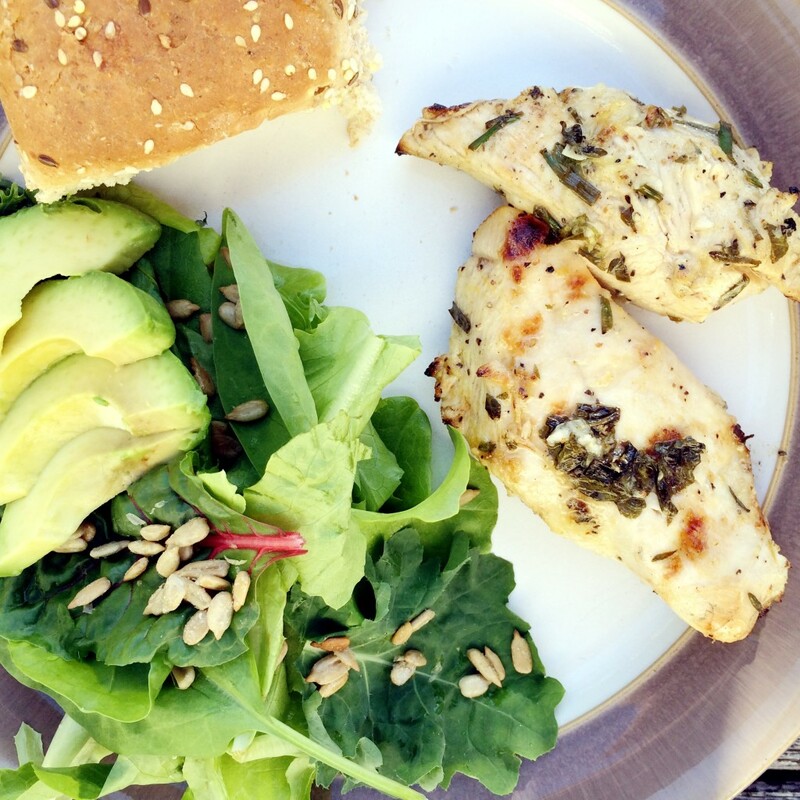 I love making this grilled lemon chicken for guests, and it goes with a variety of different sides. There’s never a leftover in sight! Chop fresh herbs and mince garlic (I use a press), and set aside. 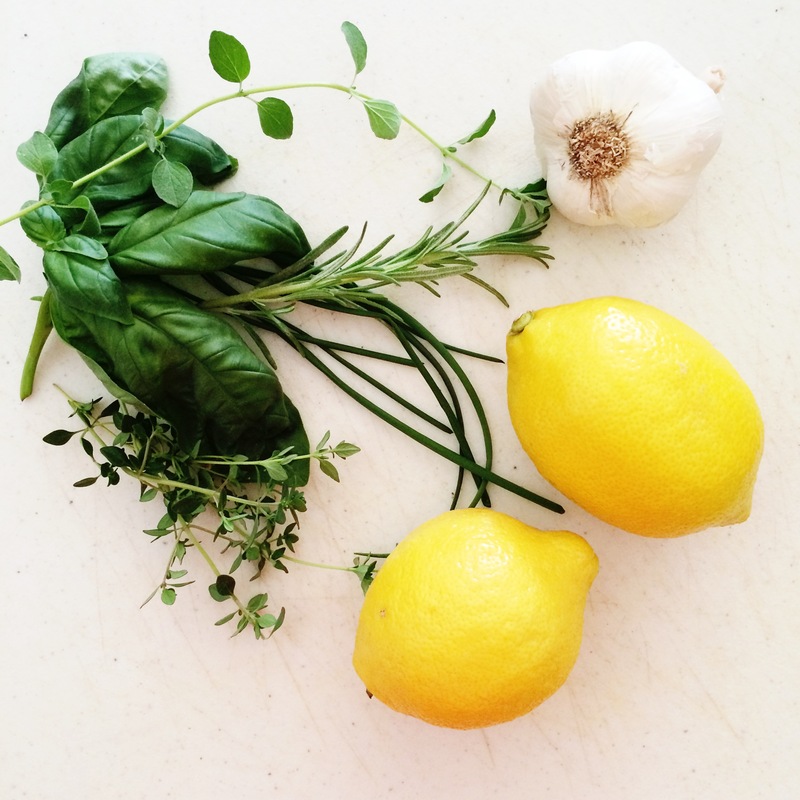 In a large glass bowl, combine olive oil, salt, pepper, lemon zest, and lemon. Add fresh garlic and chopped herbs, and mix to combine into a marinade. Place chicken in bowl and rub herb mixture onto the meat. Cover with plastic and put in fridge until ready to grill. Grill over low-medium heat until done. As always, eat with appreciation and enjoy with those you love. I’m making your recipe this week! It looks so easy and delicious!